Certain slipcovers have a bad rap, and rightfully so. They resemble unflattering sheets of fabric with a few pieces of elastic holding them to your sofa or chair. But order a piece of furniture that comes with a well-fitting custom slipcover (like the ones we sell at thestatedhome.com) and you will learn that slipcovers can be the perfect solution to many problems. That said, they still aren’t for everyone. So how do you know if you and slipcovers are made for each other? Start by seeing if any of the following apply to you. 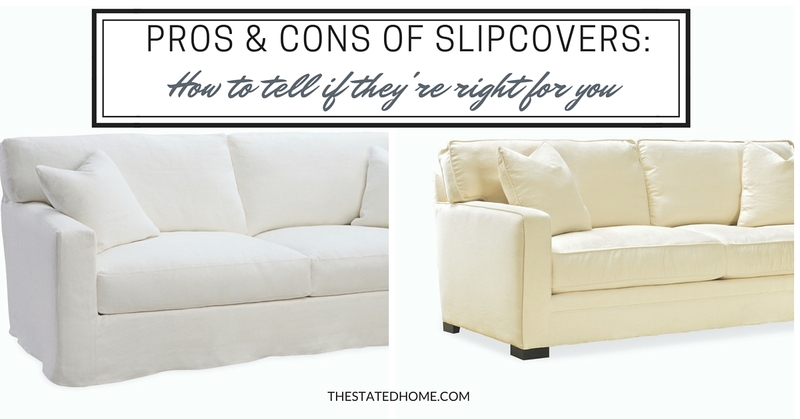 If so, you should consider a slipcover. You want white. White furniture looks great, but unless you’re going to put a “do not sit on this” sign up, it will get stained at some point. Your neighbor’s new pair of jeans will leave it a little blue or a glass of red wine will splatter. If you have a slipcover, you can clean it a lot easier. You like to change your look. It’s a lot faster, easier, and less expensive to switch out a slipcover than to buy a completely new piece of furniture. You have kids or pets. Slipcovers can bounce back easily from the mayhem that comes from children or animals. Dirt can be washed off and, if there’s a tear, you can just buy a new cover. You prefer a casual, comfortable look. Our slipcovers are fitted specifically for the furniture frame, but they can still look a little loose or wrinkled. If you like a cozy, inviting vibe, they will give you that! You’re obsessively clean. There’s no substitute for washing something with soap and water, and you can get that feeling about your furniture if you have a slipcover. You want your furniture fabric tight. There needs to be a little wiggle room between a slipcover and the frame so that you can get it on and off easily. They will never fit perfectly tight. You don’t like any wrinkles. Slipcovers can show wrinkles, especially after a wash. You can steam them, but even then it might not look perfectly smooth. You don’t want to deal with washing anything. Cleaning a slipcover is relatively easy, but there are a few steps involved. You need to wash the frame slipcover separate from the cushion covers and then put them back on the furniture damp to finish drying. If that sounds like something you’ll never want to do, maybe don’t get a slipcover. If you’re worried about slipcovers because you prefer things modern, rest assured. 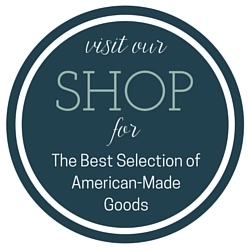 There are many modern and non-skirted styles available as well.